Each year, this Annual Report highlights a theme reflecting an important aspect of the State Hygienic Laboratory’s work. This year, we have chosen to focus on “Partnership,” a deceptively complex concept with vital importance to the Hygienic Laboratory’s ability to meet its responsibilities. Operating revenue and total expenses are based on fiscal year 2015 (July 1, 2014 – June 30, 2015). 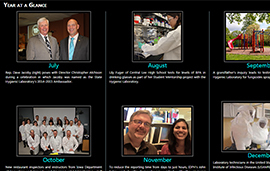 The environmental and public health laboratory system works year around to protect and promote the health of Iowans through many partnerships, including those highlighted in the Year at a Glance. Two CLIA compliance surveyors traveled more than 26,000 miles throughout Iowa to conduct certification surveys of more than 200 clinical laboratories for the Centers for Medicare and Medicaid CLIA program. 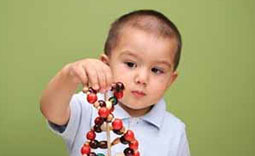 The Office of Genomics is involved in national discussions regarding generation of genomic data and the use of this data in public health programs. 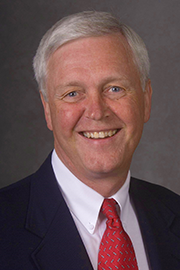 The State Hygienic Laboratory has next generation DNA sequencing technology in-house, and is an active participant in discussions that address the utility of this technology as well as the considerations for patient privacy. New programs help staff build leadership competencies, recognize others for outstanding work and develop succession plans to retain in-house expertise. IT extended the capabilities of OpenELIS beyond environmental testing with the roll out of the clinical testing and associated Electronic Data Messaging modules. Versions of OpenELIS operate in three U.S. public health laboratories, in Haiti, Vietnam and The Republic of Côte d'Ivoire (Ivory Coast). 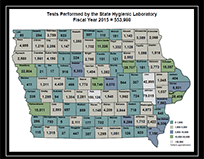 Iowa was one of the first states to participate in a national Laboratory System Improvement Program. 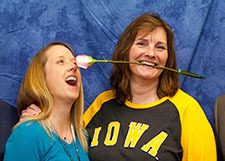 The Hygienic Laboratory’s Organizational Development coordinated and launched the Iowa implementation. 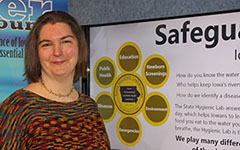 In open forums and “Hill Day” events held at the Iowa capital, policymakers and state leaders learned about how the Hygienic Laboratory fulfills its statutory public health mission. State and national partners chose the Hygienic Laboratory for molecular testing and pilot projects, including the development of assays to detect Cryptosporidium and Cyclospora, which the FDA described as of high level national importance. Ebola, fracking, measles, arsenic in drinking water and a Newborn Screening children’s book are some of the public health news shared with state and national media outlets.